Hey there! So far you’ve done some hard work: you built a long-term vision and you even set up your first 90-day goals. Well, maybe you can catch your breath now? Not so fast! The biggest challenge is still ahead. You need to do these two things which will put you right now on the road to your boldest dreams. You will be surprised. It’s a promise. You need two things done to achieve your goals. First is to start. Second is to keep going. We will reveal to you right now an easy and effective way to advance toward your big vision with small weekly steps. Look at a big vision for one of the most important aspects of your life! Right, you need a telescope since it is so far away from you. You dream of it but you do not take the initiative, you hesitate, you postpone – you simply don’t know where to start. Or maybe your thinking is like this, “These are too many years ahead. I’ll be 60 by that time. What’s the point to start now!” Guess what? Those years will pass no matter what and you’ll be 60 anyway – even if you haven’t achieved anything! The moral of the story here is that if you want things to happen then you have to stop wasting time and to act! What is it that really scares you? Look inside yourself for the reasons! Are these the unknown, the long road, the hard work, the hardship, the failure, or maybe it is the eventual success? We all think that the biggest fear is the one of failure. While in fact, it turns out that our deepest and innermost terror comes from the eventual success. You will have to analyze these emotions, find rational disproof and eliminate the negative thoughts which shackle you. You should know that defeat is foremost a valuable lesson. You will not learn anything only if you don’t try to start and keep going towards your dreams. The other necessary condition for a smooth start is to plan in a simple but effective way. What’s working, as we found, is to break your vision in small but achievable stages. After you know the direction of the 90-day action goals you need to formulate the small weekly actionable steps. As you might be guessing, you need to start with the very first one. What you are not suspecting is that you don’t have to formulate all 12 weekly steps for the 90-day period at once. Only the first. 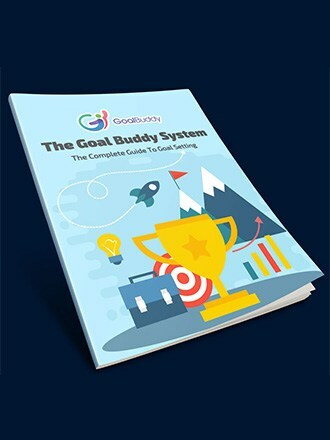 The strategy in “Goal Buddy” is exactly that – one step a week beginning with the first one. And which should be the first step then! When dealing with beginnings the most important is to choose the right first step. It has to be the act that will unlock the whole process and without it, your progress will be blocked. If you are about to learn new skills then you start with finding a suitable course of action. And if you are organizing a wedding, then you need to start with finding a partner. Kidding, of course! But you get the drift here – the first step is the one that puts you over. You already stepped on the road towards your vision. If information mattered that much then all librarians would have been millionaires. What matters is action. Anyone who studied business administration knows from school that a big and complicated project needs a big and complicated plan. University professors and industry brainiacs developed a multitude of complex instruments which supposedly make huge projects feasible. But do they really do the trick? You might be familiar with them: dashboards, calendars, Gantt charts, etc. They describe in minute detail every step of the way, every single activity is assigned strictly predetermined time for completion, there are relations and dependencies between separate tasks, prioritizing, progress measurement… Forget all of it! Why you don’t need this! 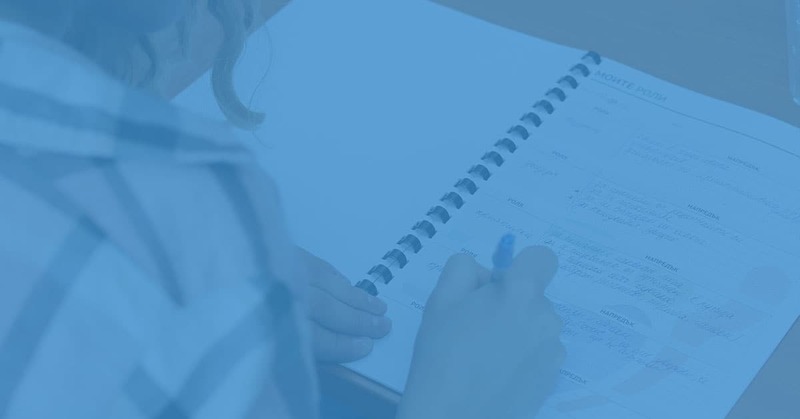 Piling up complicated and interconnected tasks makes their planning a drawback which, in turn, complicates their completion. And on top of that, it is really hard to begin, since the mere volume of work is daunting. And when you do start, after all, you will find out pretty soon that the plan won’t unfold the way it was laid out. It is too inflexible and doesn’t leave much room for the inevitable changes in workflow circumstances. Collapse is inevitable. When planning, as in many other aspects of life, less is more. Start small! Formulate one and only one step for each stage of execution. The “one step a week” principle is the corner-stone in “Goal Buddy”. And that’s for a very good reason! You must be wondering why only one step. When things get going, and they get going smoothly, you have the time and energy, so, why not 2 steps, or even 10 steps per week? Here’s why: our experience shows that the motivation to realize a dream does accumulate energy. Making the very first step transforms this power into such passion that we unleash a storm of activity. The fundamental rule is only one small step per week. No more than one. It’s well known that to have a balanced and fulfilling life you need visions for its most important aspects. You haven’t forgotten – you formulated 3 long-term visions for the next 25 years, one for each of your top priorities in life. You set up one first 90-day goal for each vision. Now for each 90-day goal, you have one weekly step. 90-day goal To exercise 4times per week. To start my own business. To go on three vacations in this period. Weekly step I do exercise 4 times a week. I find a lawyer to register the company. I make a short list of vacation destinations to discuss with my family. You see! One step per 90-day goal for each of your 3 visions sums up to 3 steps which will take quite of your resources for the week. There is no point trying to do more. If you do that anyway, then there is pretty good chance that you will choose a priority goal and spend some extra time on it. You may be left with no time for the rest. Such disbalance might even lead to failure in any of the others. A scenario like that will inevitably bring around some dissatisfaction. It might put your self-confidence in a tailspin of limiting beliefs and worst – force you to give up. Why do it then! Just do one step per week for each goal. Do you notice that some of the weekly steps will be the same for each week! That’s the whole point of building up a routine. And yet some other steps will be consecutive and interconnected. In your second week, you will define a different step for the goal. It must build upon the previous one to get the progress going on. However, for the step to be adequate, it has to be formulated only after completion of the previous one. the short-term flexibility of the specific weekly steps which reflect the changing circumstances. Completion of any given goal does wonders for your confidence and self-esteem. It also frees enormous amount of energy. But how do you sustain such state of high octane fuel? Once we built our own vision tons of energy is generated, once we make the first step this energy is released. There is a little trick to hold onto this process: try to visualize how your dream is being fulfilled and your vision realized! Don’t forget the reason behind “Why do I do this?”. Build a clear image of the achieved in your head and this will be an unlimited source of power. As they say, “You can’t hit what you can’t see!”. Well, see and you will hit the bull’s eye! There is no argument: the many little steps are in fact many… little steps. Patience is a virtue to be learned as well as steadfastness. You need to acknowledge that what’s worth is never easy and requires your time, attention and effort. The clear understanding that you are doing everything possible will help you preserve your creative energy and will propel you forward. Only one step, especially in the context of big and bold visions, sounds like as if you are underselling yourself. However, “Little strokes fell great oaks”. Step by step, week after week and all of a sudden things are happening. One little but completed step releases energy, and what about many! Look at it this way: there are people who do nothing about their dreams for years while you do one thing per week. For the 90-day period, it is 12 steps which get you closer and closer to your vision. For a year it is 50. Just imagine the scale of your progress! It’s not to be underestimated what we mentioned in the previous article. Be thankful and appreciative of your progress! Pat yourself on the back! This will help you to keep your spirit high and not to get discouraged by what’s ahead. You will soldier on. Last but not least, you’ve been handed a powerful tool which will keep you in shape as an expert in goal setting and achievement. It will recharge you with energy, it will motivate and support you no matter what, it will wish you the success as much as you do. This is your goal buddy. In our next article, we will get into the details how to look amongst your friends for this one individual that once chosen becomes part of a team. A team of two which is doomed to succeed. Meanwhile, don’t forget to share the article with friends – one might become your future goal buddy! Thank you for your company and see you later!